The goal of project is to capture this experience with minimal interference to its surroundings. We used scaffolding like structure to not take away focus from the city; rather the structure is designed to be invisible from the distance. 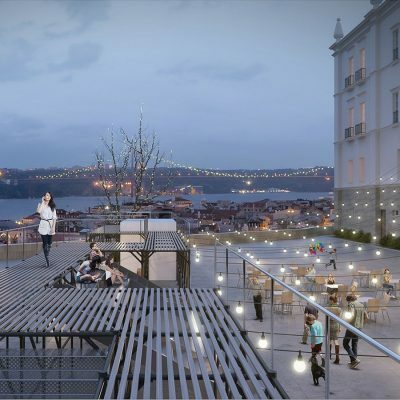 The proposed structure would allow visitors to relax, play, watch, listen, sit and mostly importantly experience the city as much as walking around. The structure composed of five different modules, Steps, Stage, Void, Enclosed space, and Viewpoint. According to five different elements, people can easily assemble and disassemble for their needs. Five elements which are: 1. Steps, 2. Stage, 3. Void, 4. Enclosed Space and 5. Viewpoint, allow a various activities and events to make it a very exciting place to visit. 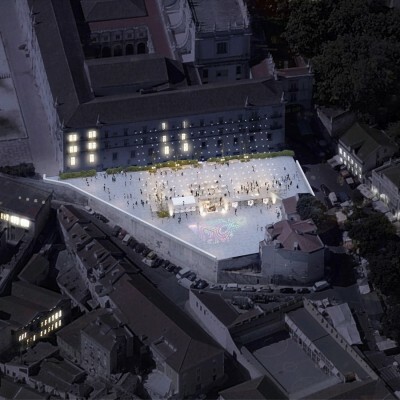 The project is located in the city of Lisbon, Portugal. 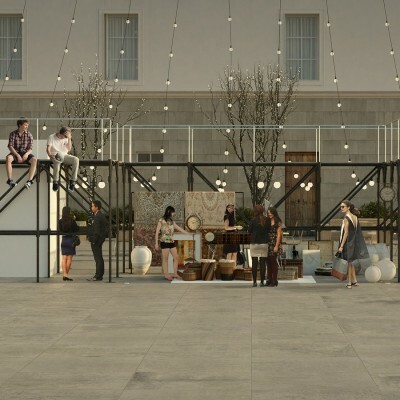 This unit platform is able to transform into a fully immersive environment for events and activities, from an ordinary scaffolding structure right next to Monastery of São Vicente de Fora. The entire unit structure is merged with specific settings, such as stairs, sitting stairs, restrooms, etc. Each stage captures the environment that is projected onto the scaffolding unit, melding with the surrounding area. It allows an adaptable structure that can work in varied settings and events. 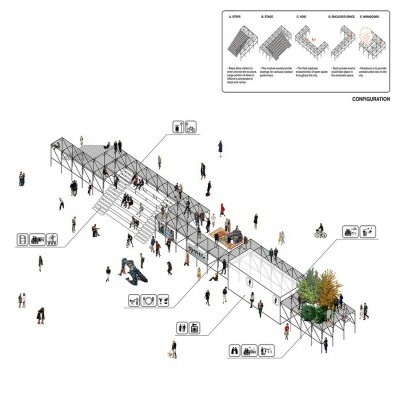 The structure remained as an elevated public platform itself, allowing people to experience the space and environment beneath the platform. 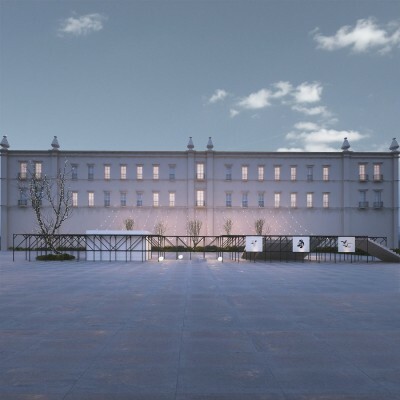 Bumjin Kim and Minyoung Kim have working experiences in the U.S., France, China and Korea and their works were exhibited in the U.S., Spain, and China. These two members currently reside and work in U.S. Both Bumjin and Minyoung obtained their Bachelor degree in Architecture at Hongik University. Minyoung graduated subsequently with a Master in Science of Architecture and Urban Design degree from Columbia University. while Bumjin with a Master of Architecture from the MIT. Urban Platform Flexible Structure by Bumjin Kim & Minyoung Kim is Winner in Architecture, Building and Structure Design Category, 2014-15.